Applied Material:Mineral ores, sand, ore powder, metal powder, gypsum powder, clay, coal slime, coal powder, sawdust, wood, fertilizer, animal manure, coconut shell, palm shell, etc. Three-drum dryer is also called three-cylinder dryer, whose main body is composed of three concentric circles of different diameters in inlaid combination. It is mainly used for drying granular material with certain humidity and certain particle size range, such as sand, molding sand, slag, cinder, fine-grained clay, high temperature resistant and dusty particles. The moisture content can reach 5 - 15% after the drying process. 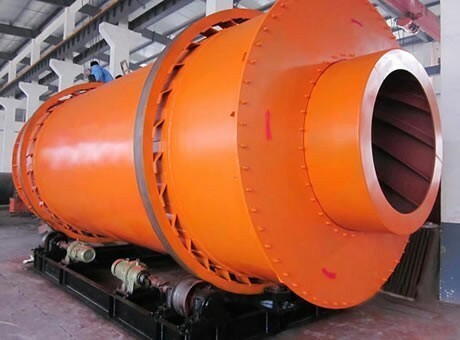 Three-drum dryer is widely used in building materials industry, metallurgy industry, ore dressing industry, chemical industry, cement and other industries. It is suitable for drying slag, limestone, quartz stone, clay, sand, coal, iron, slag and other admixture; dry mixed mortar, yellow sand and bentonite in construction industry; waste slag, concentrate and tailings in chemical industry; coal slime, raw coal, flotation coal concentrate and mixed coal in coal industry. 1. The discharging temperature is less than 50 degrees, which can directly enter into the base, without cooling. 2. No wind leakage phenomenon, which completely solves the sealing difficulty. It can be installed within 2 hours. 3. The thermal efficiency is as high as 80% (traditional single cylinder drying machine is only 32%), the efficiency has been improved by 48%. 4. The occupied area has reduced about 50%, the investment decreases about 50% than single cylinder dryer. 5. The coal consumption is1/3 of the single cylinder dryer, save 40% energy. The standard coal consumption for per ton is less than 9 kg, the annual coal saving of small drying machine is 50-100 million, and the large dryer is 100-200 million. Fote Machinery is professional in producing the three-drum dryer, and the three-drum dryer price in our company is low with the same quality. If you want to know more information about our drying machine, please consult us online or leave us a message. We are ready to answer you!